In the heart of the Ottoman Empire as World War I rages, Stepan Miskjian's world becomes undone. He is separated from his family as they are swept up in the government's mass deportation of Armenians into internment camps. Gradually realizing the unthinkable-that they are all being driven to their deaths-he fights, through starvation and thirst, not to lose hope. Just before killing squads slaughter his caravan during a forced desert march, Stepan manages to escape, making a perilous six-day trek to the Euphrates River. In his desperate bid for survival, Stepan dons disguises, outmaneuvers gendarmes, and, when he least expects it, encounters the miraculous kindness of strangers. The Hundred-Year Walk alternates between Stepan's saga and another journey that takes place a century later, after his family discovers his long-lost journals. 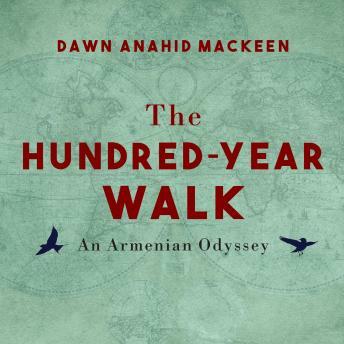 Reading this rare firsthand account, his granddaughter Dawn MacKeen finds herself first drawn into the colorful bazaars before the war and then into the horrors Stepan later endured. Inspired to retrace his steps, she sets out alone to Turkey and Syria, shadowing her resourceful, resilient grandfather across a landscape still rife with tension.